PRESIDENT DONALD TRUMP is not known for his piety, but his policies have made him popular with conservative Christians. With dozens of newly appointed conservative judges and two Supreme Court justices, hard-line stances against abortion and LGBT rights and vows to “protect Christianity”, Mr Trump enjoys the steady support of about three-quarters of white evangelicals. But after a pair of rulings from federal judges (both appointed by his predecessor, Barack Obama) on January 13th and 14th, one of Mr Trump’s promises to religious conservatives has hit a roadblock. On May 4th 2017, when Mr Trump issued an executive order “promoting free speech and religious liberty”, he said America “will not allow people of faith to be targeted, bullied or silenced ever again”. That mission included a loosening of rules under the Affordable Care Act (ACA) that guarantee women free “preventive services” as part of any employer-provided health insurance plan. The ACA, also known as Obamacare, does not lay out exactly what those services are, but the Health Resources and Services Administration determined in 2011 that they include provision of all contraceptives approved by the Food and Drug Administration, as well as counselling and sterilisation procedures. The Obama administration offered conscientious exemptions to churches and other houses of worship from the so-called “contraceptive mandate”, and—following litigation—concocted a work-around whereby religiously affiliated non-profit groups could opt out while female employees could receive free birth control through a third party. The Trump administration has taken this solicitude a few leaps further with interim and now final rules that were scheduled to go into effect on January 14th. Not only churches and religious organisations but any business with a religious objection to contraception—and most businesses with a sincere moral objection—would be released from the duty to provide these services to their employees. There has been a dizzying array of lawsuits over this bit of the ACA. In 2014, the Supreme Court ruled in Burwell v Hobby Lobby Stores that “closely held” businesses with religious owners were exempt from the contraceptive mandate under the Religious Freedom Restoration Act (RFRA). Two years later, the justices sidestepped a challenge to the Obama administration’s accommodation to religious non-profit groups in Zubik v Burwell. And in the 20 months since Mr Trump sought to broaden the exemption via his executive order, district and federal courts have heard challenges to the legality of the new rules. On January 13th, Judge Haywood Gilliam Jr. in Oakland, California temporarily blocked implementation of the rules in 13 states and the District of Columbia. A day later, in Pennsylvania, Judge Wendy Beetlestone issued a similar ruling that enjoins the new rules nationwide. Both judges found that states were eligible to sue—that is, had “standing”—because the Trump administration’s rules place fresh burdens on their budgets. There’s a realistic chance, Judge Gilliam wrote, that the exemption constitutes a “threat to [the states’] economic interests” as they would be “forced to pay for contraceptives that are no longer provided cost-free to women as guaranteed by the Affordable Care Act” and “suffer economic harm from the consequences of unintended pregnancies” stemming from fewer women enjoying access to affordable contraceptives. The rulings also took issue with the government’s claim that “the ACA delegated total authority to the agencies to exempt anyone they wish from the contraceptive mandate”. The question of what the executive may “do under a statute or the constitution”, Judge Gilliam wrote, “presents a pure question of law for the courts, and the agencies’ views on this legal question are entitled to no deference”. Judge Beetlestone agreed, finding that the Trump administration’s rules “exceed the scope of the agencies’ authority under the ACA” and find no refuge as a legitimate accommodation under RFRA. How many women stand to be affected by these disputes? The vast majority of employers are likely to continue to abide by the law and offer health insurance that includes birth control devices and procedures. But “between 31,700 and 120,000 women would lose contraceptive coverage”, Judge Gilliam wrote. 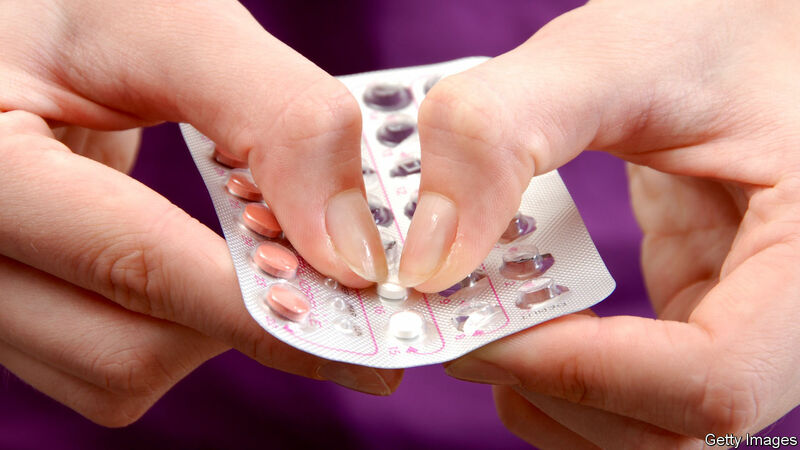 The protections for companies with pious owners would “[deprive] female employees, students and other beneficiaries connected to exempted religious objectors of their statutory right under the ACA to seamlessly-provided contraceptive coverage at no cost”. That may be a tiny percentage of American women, but each person who loses coverage for her reproductive health services would be forced to bear that burden due to her boss’s religious sensibilities. And the rules give religious employers a wide berth in claiming an exemption from generally applicable laws, no matter how profound the impact on third parties. Though they are blocked for the time being, the Trump administration’s conscience exemptions are highly likely to be defended on appeal at the Third and Ninth Circuits. These courts might issue stays on the injunctions, permitting the rules to take effect; barring that, the Supreme Court could step in and lift the injunctions. If the Supreme Court eventually weighs in on the merits, the five-justice conservative majority Mr Trump has helped craft may well be bolder than the eight justices who settled on a compromise in Zubik three years ago. NextWhy don’t other countries’ governments shut down?